For more than 60 (sixty) years, babies in Latin America have enjoyed the delight premium diaper rash cream, Hipoglos. Trusted by millions, Hipoglos is one of the most amazing diaper rash ointments available! Hipoglos helps prevent and treat diaper rash and skin irritation. It also helps protect chafed skin while helping to seal out wetness. Hipoglos goes on smoothly and wipes off easily, giving your baby relief from the very first use. 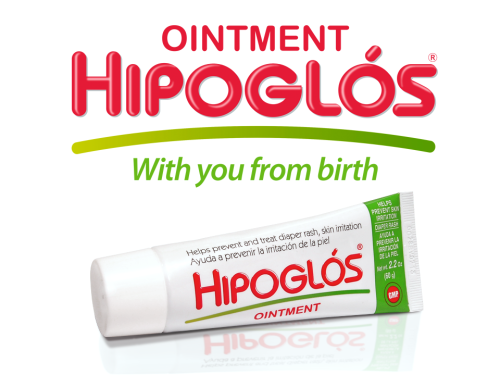 Hipoglos ointment provides extra gentle care for your baby’s bottom, leaving your baby happy. 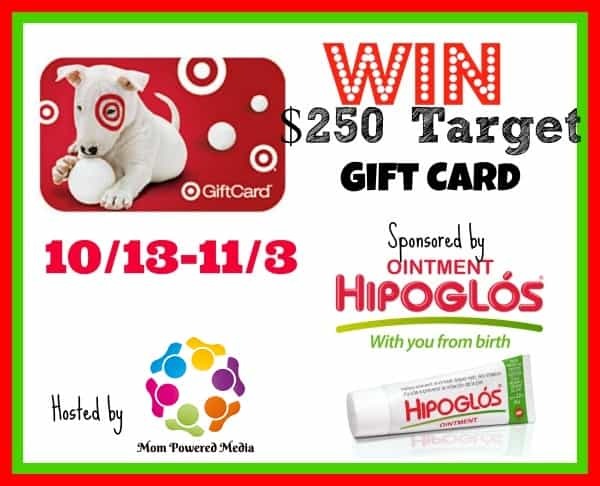 One lucky winner will win a $250 Target Gift card to get their little one something special or for themselves! So head below for your chance to win! Giveaway ends on 11/03 at 11:59pmEST and is open to US. Disclaimer: The participating bloggers were not compensated for this post. No purchase is necessary to enter. One entrant per household, per address. Void where prohibited by law. Winner(s) will be contacted by email and have 48 hours to respond before a new winner is chosen. The sponsor(s) will be responsible for product shipment to winner(s) of this sweepstakes. This event is in no way administered, sponsored, or endorsed by, or associated with, Facebook and/or Twitter, Google, Pinterest. Contact Elia@mompoweredmedia.com if you have any additional questions or comments. We Heart Family and Friends is not responsible for prize fulfillment.